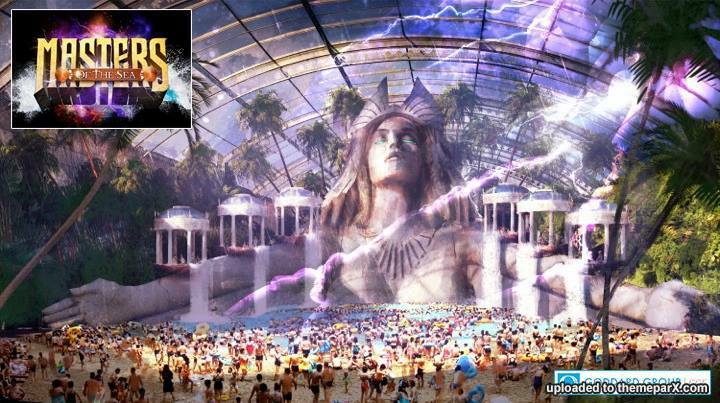 Here's a concept rendering from Goddard Group's Facebook page showing part of the "MASTERS OF THE SEA indoor water park" which is part of Kingdom of Poseidon. No pictures just yet but it looks like building has resumed after the winter. 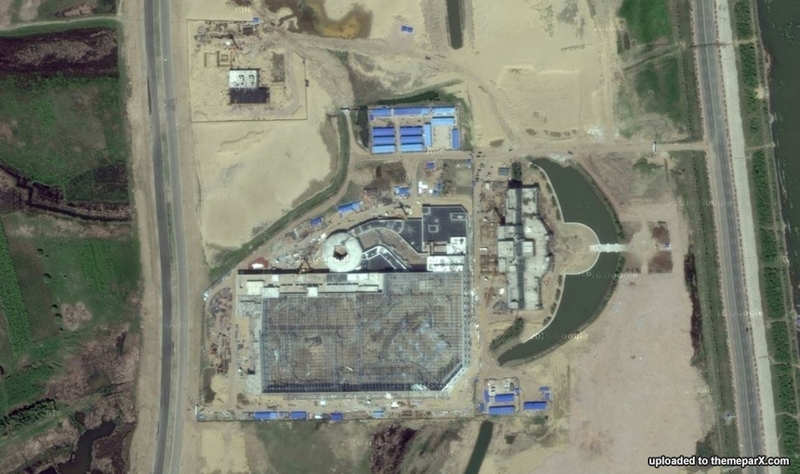 A few hours north in Harbin, KW Zone’s Kingdom of Poseidon resort recently resumed construction after pausing for the winter. 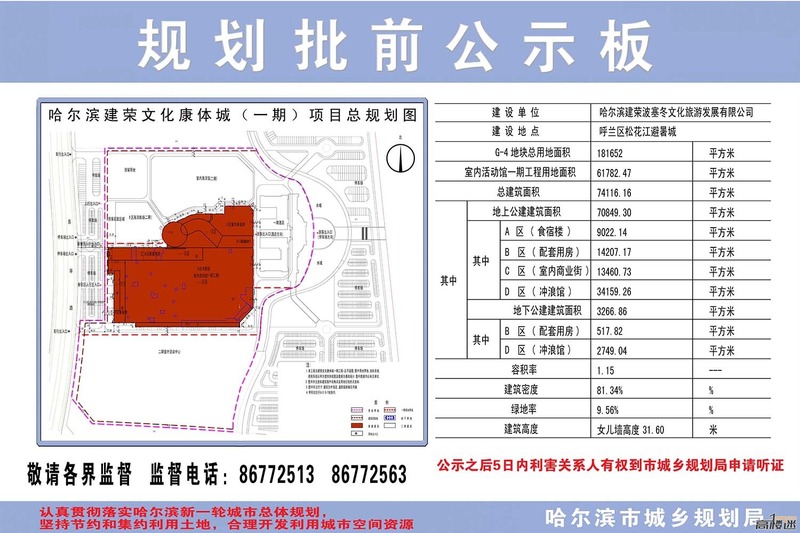 The highly-populated city, famous for its frigid temperatures and sprawling ice festival, is currently devoid of year-round tourist attractions - making the Kingdom of Poseidon resort particularly competitive. More than half of this park will be enclosed, to create an all-weather, year ‘round family destination. 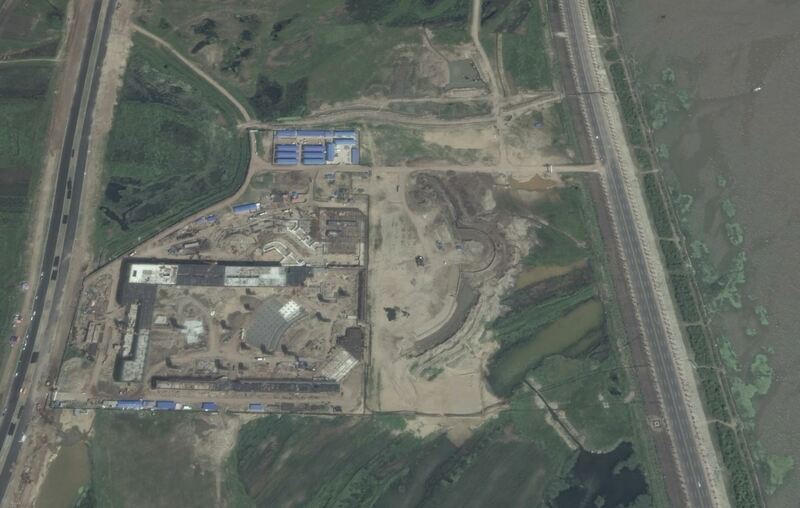 So not very up to date but a construction photo from Goddard Group posted in September 2015. This is the only construction photo I can find. 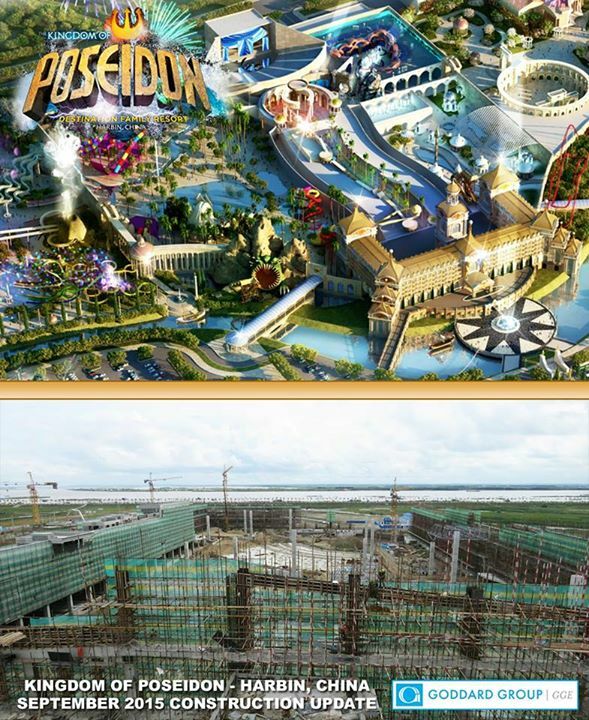 In northern China, construction is racing forward on the Goddard Group-designed KINGDOM OF POSEIDON resort. Located mostly-indoors due to the region's famously frigid climate, the expansive resort will feature a number of unique attractions for visitors to enjoy year-round, anchored by an incredible water park based upon Greek ocean mythology. 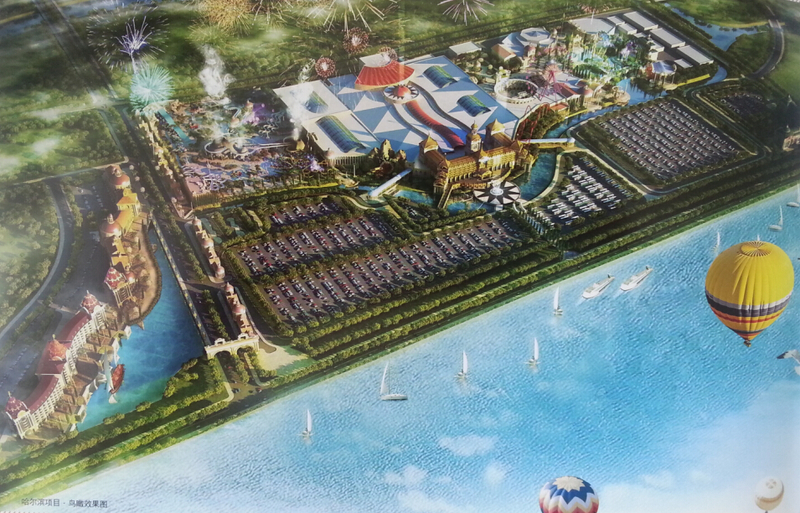 Seriously, Kingdom of Poseidon is a $1.6 billion theme park?! It doesn't look like it. The Goddard Group completed the design for a new themed entertainment attraction, “Kingdom of Poseidon”, which will open in Harbin, China. Goddard Group’s client is Malaysia-based KWZone Group, which invested $1.6 billion into the project. Construction appears to be quite advanced on this one. Any on site construction pics? Ride suppliers? The actual plans suggest it's quite a bit smaller than the original concept art although perhaps this is just phase 1. Close. It's a little further north than that on the same side of the river.